Hallelujah, Hallelujah, For our Lord God Almighty Reign. 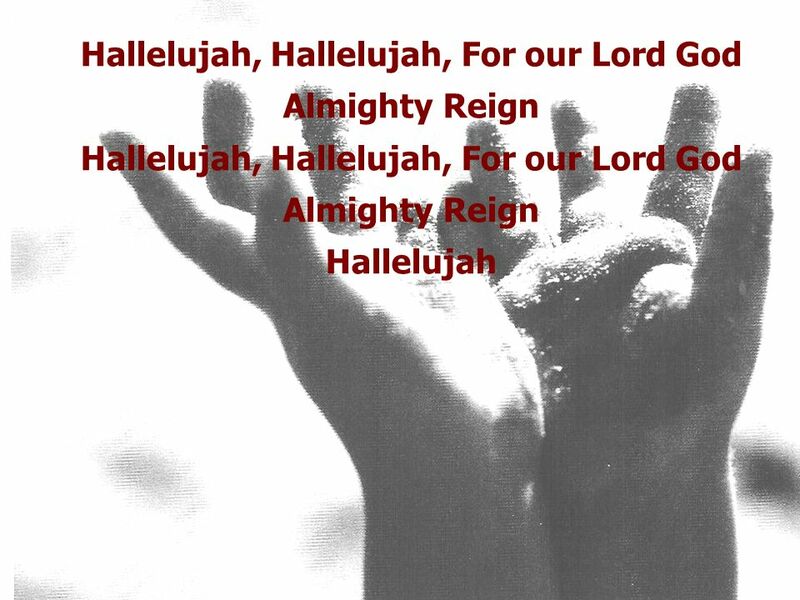 Download ppt "Hallelujah, Hallelujah, For our Lord God Almighty Reign." Words and Music by Rob Smith © 1998 Rob Smith Used By Permission. CCL Licence No Let Us Praise. CHRIST IS ALIVE (BECAUSE HE LIVES) Because He lives, I can face tomorrow Because He lives, all fear is gone. Your Name is Holy You are the sovereign I Am You name is holy You are the pure spotless lamb You name is holy You are the Almighty One Your name is holy. PRAISE & WORSHIP Day 3, Morning Plenary. Hallelujah, Lord You Empower us, You give to us , Abundantly You love us, Victory, Your love is Endless, Your hope is Never-ending. “We Will Glorify”. Verse 1: “We Will Glorify” We will glorify the King of kings We will glorify the Lamb We will glorify the Lord of lords Who is the. Be Unto Your Name We are a moment, You are forever Lord of the ages, God before time We are a vapor, You are eternal Love everlasting reigning on high. WORSHIP AT THE THRONE Alleluia, alleluia For the Lord God Almighty reigns. For Your Name is Holy. I enter the Holy of Holies I enter through the blood of the Lamb I enter to worship You only I enter to honor I AM.